AuttyW: A Gamer's Gift Guide! 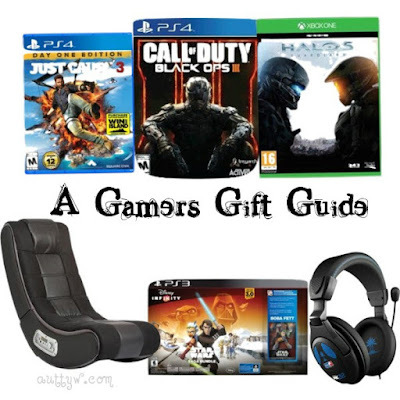 Hello Everyone and welcome to the second Gift Guide! This one I enlisted the help of my Cousin, My Husband, Father and Brother. Let's face it, I like to game, but I am no gamer at all. I compiled a small list of suggestions from everyone and came up with this! All Items are linked to their respective websites where you can buy each product/game. They had more than 6 ideas but I think this post would have been never ending if I added them all! I hope that the gamer in your life loves whatever you buy them this year!! !